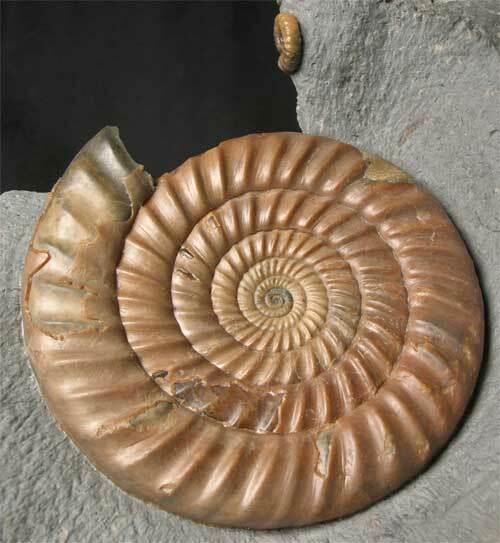 This stunning Ammonite is extremely rare from Dorset.This world class fossil was discovered from a very small area of Black ven when there was a landslip some 20 years ago and very few have been found since.The specimen itself took many hours to prepare by Andy Cowap and has resded in his collection for over 15 years. 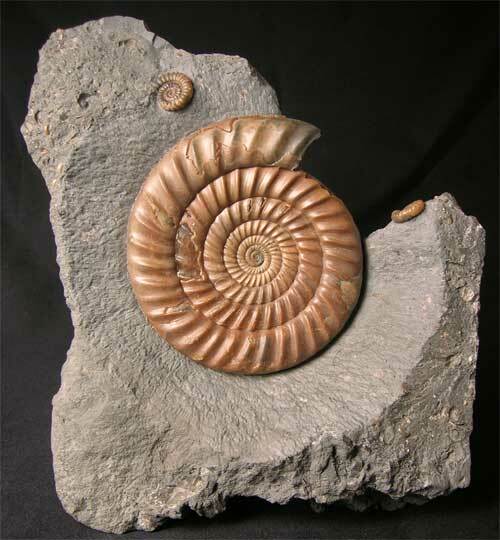 There is also two Promicroceras precompressum Ammonites accompanying the Epophioceras. 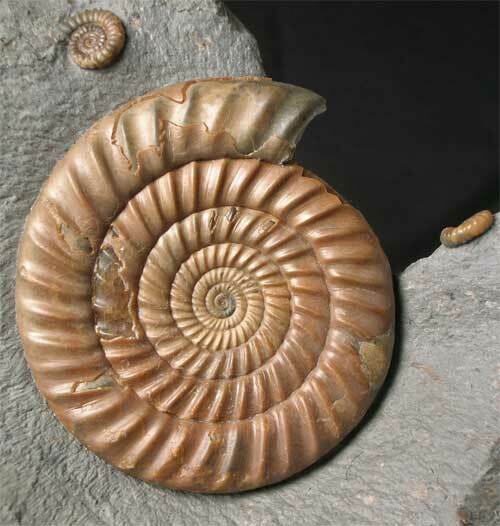 It is highly unlikely that another Epophioceras of this calibre will be offered for sale due to the simple fact that only a few were ever discovered! 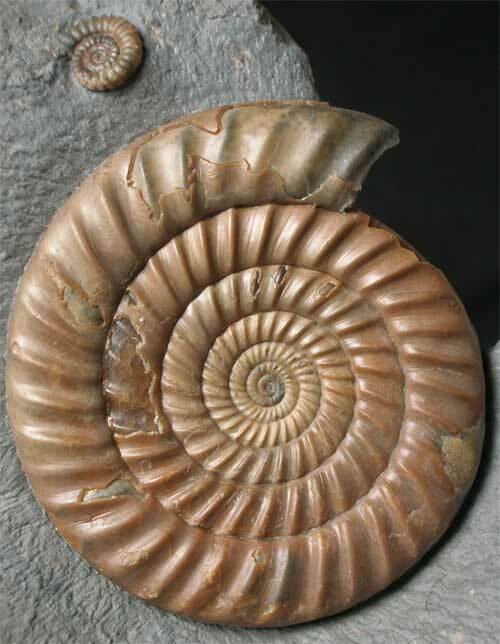 This fossil is for the serious collector of very fine ammonites.